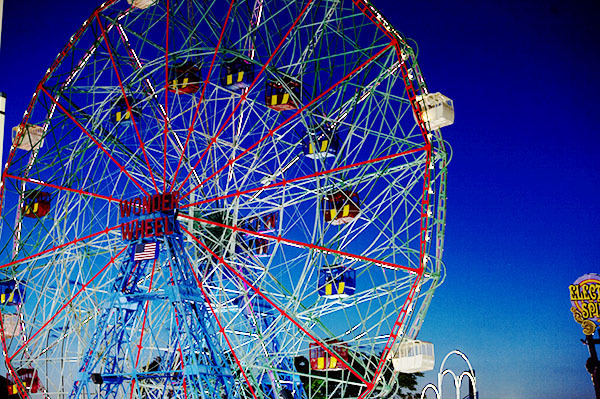 Coney Island is a Brooklyn establishment and full of so much beauty — be it a stark winter landscape or a packed summer day vivid with color and diversity. 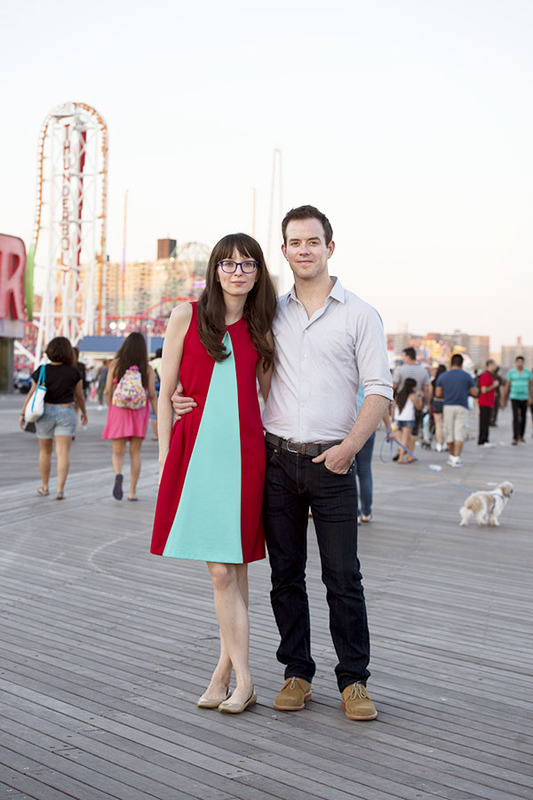 Danielle & I always wanted to shoot an engagement at Coney Island. 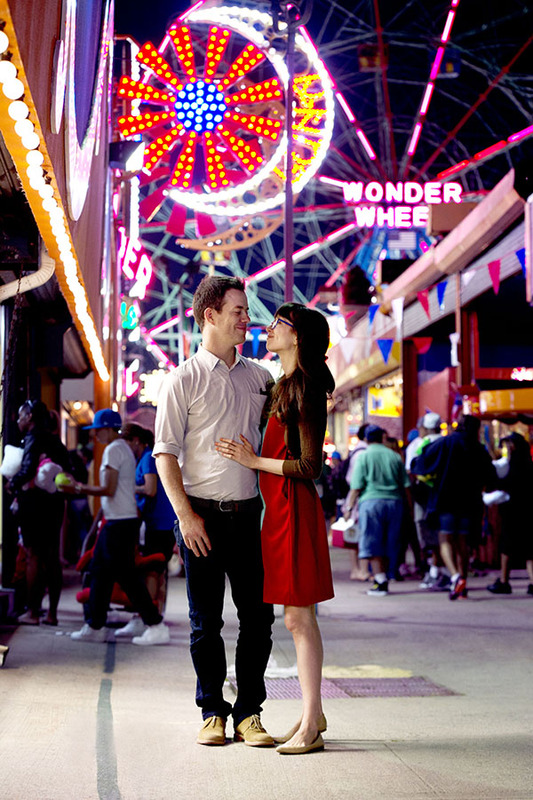 Eden & Gerard wanted engagement photos that had a unique & fun vibe and we knew Coney Island was a no brainer. 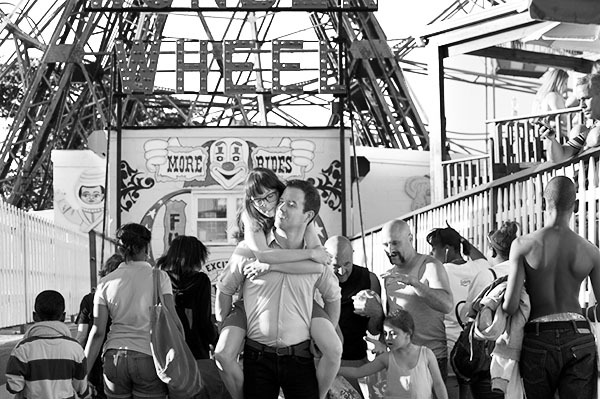 Eden also used to live in the Coney Island area so it had added meaning to her. 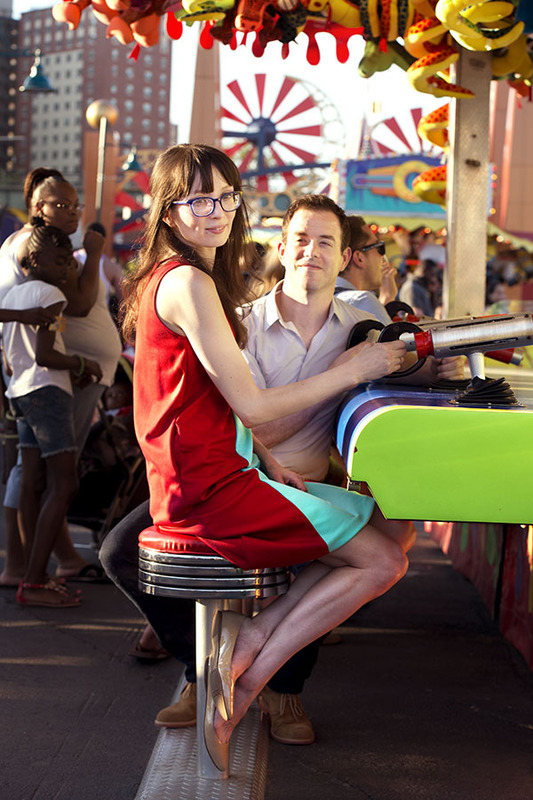 We decided to shoot on a gorgeous summer weekend day. 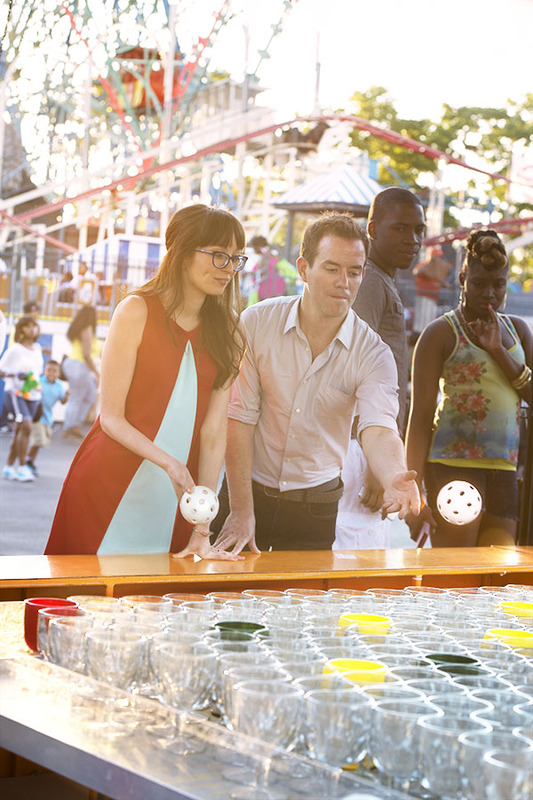 Coney Island was packed, really packed. 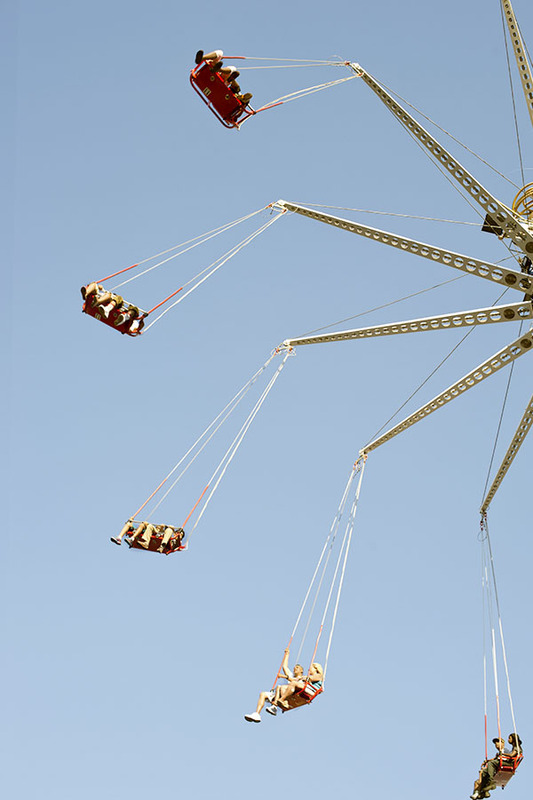 It was a bit of a challenge working around the crowd to get the images we wanted, but I also think the crowd added an extra energy that is palpable in some of the images. 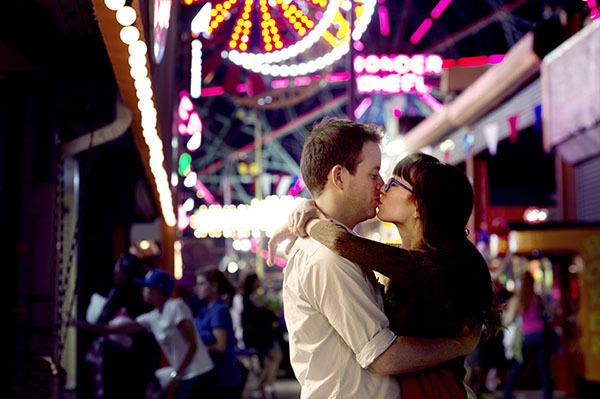 We had so much fun shooting Eden & Gerard — we started off the day with hot dogs & beers at Nathans, took pics in the photo booth, went on rides, and dipped our feet in the water on the beach. 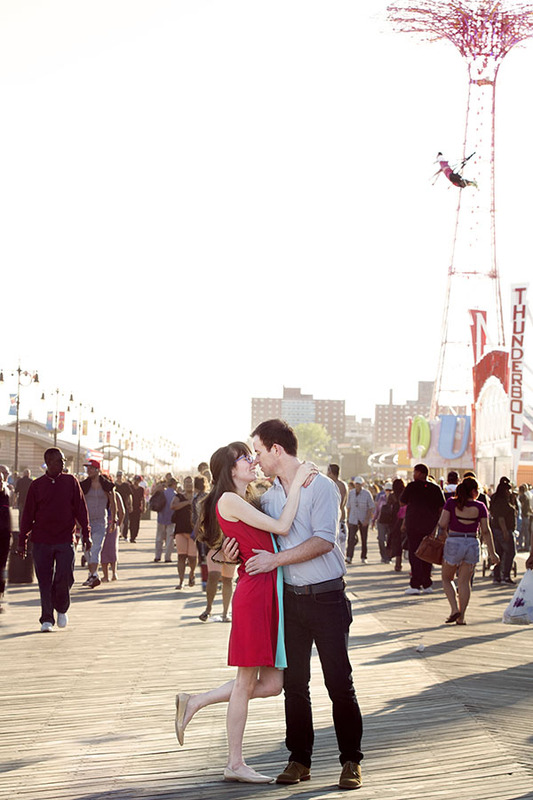 Check out more of Eden & Gerard’s Coney Island Brooklyn Engagement Photography! 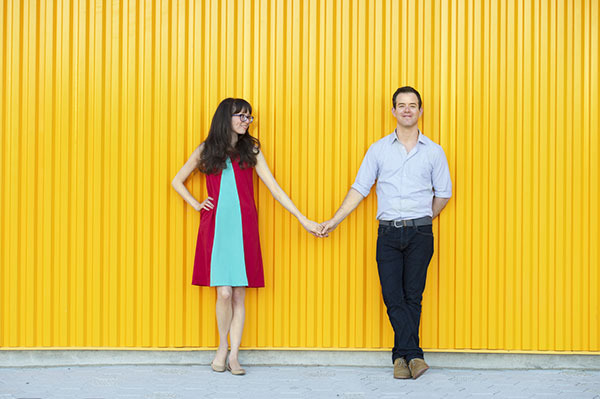 Eden wrote an awesome post about the engagement shoot on her blog Eloise Morehead.